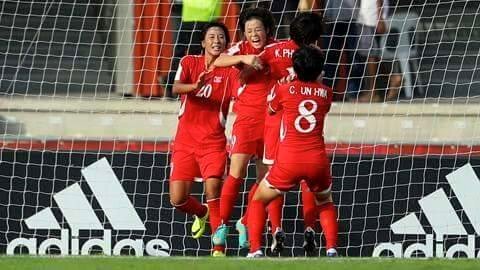 The first team to beat first timer and host Papua New Guinea in the FIFA U20 Women's World Cup Brazil this evening went down to the Korea DPR in a tight match that saw the Koreans dominating the opposing goal till the end. Going to half time with the score at 4-1 in favor of their opponents, Brazil came back with more attacks in the second half. Despite the efforts, the only next goal scored by Brazil was a penalty shootout after a handball by Korea bringing their score to 2. Keeping their game plan strong, Korea secured their second consecutive win of the FIFA U20 Women's World Cup here in PNG. The Koreans will face PNG this Sunday (21st November) at the PNG National Football Stadium and their coach Hwang Yongbong says they will be giving more opportunity to their substitutes with hopes to progress into the qualifiers.